• “Father Urayai inspired me”. MASVINGO – Roman Catholic Masvingo Diocese head, Bishop Michael Bhasera who is also the Apostolic Administrator of Gweru Diocese celebrated his 69th birthday on Sunday 11, November 2018. The year also marked his 27th year as a bishop and 40th year as a priest. He held two separate masses to celebrate his anniversary as a bishop and his birthday respectively. The anniversary mass was held at St Don Bosco in Masvingo on October 28, 2018 while the birthday was held at The Holy Trinity Parish in Triangle in Chiredzi on Sunday. The Mirror attended the birthday mass where the reading of the day was taken by Father Richard Pundo. Father Pundo described Bishop Bhasera as a visionary who has transformed Masvingo Diocese with new churches, hospitals and other institutions being established in the last few decades. 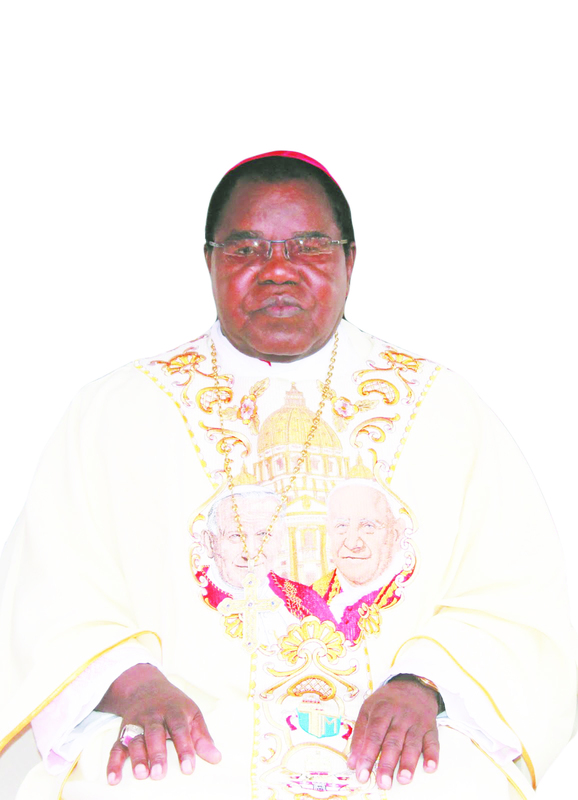 Bishop Bhasera built a diocesan shrine at Gokomere Mission which has become one of the biggest gathering places for Catholics in the country. He started new missions including St. Monica Chikuku, St. Joseph Mativore, St. Vitalis Neshuro, St. Josphine Bhakita, St. Alex Ndanga, St. Walter in Buffalo Range, St.Peter Tovani, Chiremwaremwa in Mashoko , St .Michael Mpandawana , St .Francids Xavier Majada , Bhasera Centre, Makura Mission , St .Joseph Nemanwa , Mandini Mission , Bhuka Resettlement area in Tongogara and many others. Father Pundo said that the name Michael is Hebrew which means, who is like God. It is also Archangel – leader of Heaven’s armies/protector. He said that his second name Dixon is English and it means powerful, brave, strong leader. He justified celebrations of birthdays and said that these have been there even for Christians with Jesus Christ’s birthday being on December 25, John the Baptist’s birthday on June 24 and Mary’s birthday is on September 24. Bishop Michael Dixon Bhasera was born on November 11, 1949 in Gutu, Zimbabwe. He was born to the late Philip Muzorori Bhasera and Theresa (Kowerai) Zifodya. Fr Pundo quoted Fr Walter Nyatsanza’s book Called by name for the biography of Bishop Bhasera. He said Bishop Bhasera’s father was a simple farm worker who managed to educate his whole family from the meagre wages he received from a white farmer for whom he worked. “I have two brothers and five sisters. I was born on 11 November 1949 in Gutu District. I had my first part of primary education, Sub A to Standard two at Trafalgar school, Standard 4 to 6 at Serima Mission and I was at Serima from 1964 to 1967. In 1966 I passed Standard 6 but my parents were not able to pay school fees so I repeated. I liked being at Serima because I felt I was properly formed, and being at a Mission gave one some esteem. ‘’At the same time Mission life was patterned in such a way that prayer life became part and parcel of our lives. Further discipline, punctuality and hard work was the order of the day. The life style of the priests, brothers and sisters was very exemplary to all of us who were students there. In 1965 when Father Joseph Werlen SMB and Father Augustine Urayai came to Serima they impressed me very highly. I liked talking to them. Though there was all this good atmosphere at the Mission I did not have the intention at all to become a priest. Yet when I repeated Standard 6 my friend Stephen Munekani acted as a catalyst. He told me he wanted to become a priest. Though he himself later joined the war of liberation and was killed as a guerrilla, his words about becoming a priest did not touch me at the time he said them. “Instead I wanted to be an artist. As I was one of the favourites of Father John Groeber SMB who started artistic carving in Serima, I wanted to go to Driefontein Mission to join the school of carving. But after October 1967, I suddenly had the interest of wanting to go to the Seminary. The idea came forcefully into my mind. I then eventually told my parish priest Father Xavier Inglin SMB. There was a Sunday Father Inglin was going to my home area to say Mass, he told me that we would be going together so that my father could sign the forms for me to enter the Minor Seminary. 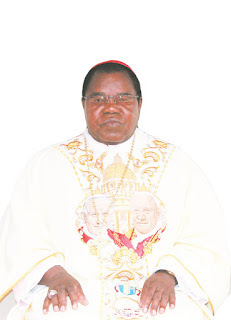 Bishop Bhasera was raised to the college of Bishops in 1991 at the creation of Gokwe Diocese by the late Pope St.John Paul II who appointed him to lead the Diocese. Gokwe Diocese had just 12 priests and now they are nearly 40. He did his Licentiate in canon law, Urban University, Rome in 1985.